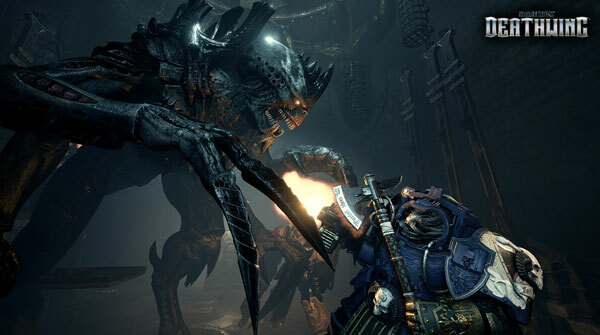 Set in the Warhammer 40k universe, Space Hulk: Deathwing is on sale on steam from March 14th until Marth 17th, with a 33% discount for people to jump in on. In the statement from the website, “We’d like to thank our dedicated community, whose feedback has been incredibly helpful in our ongoing mission to bring continuous improvements and updates to Space Hulk: Deathwing,” says Pierrick Le Nestour, co-owner at Streum On Studio. “There are still many more exciting things to come, as we’ll be supporting our game with free content updates throughout the year.”. The article goes on to give a link to the Steam page, which, to save you a step, you can find here. As well as the sale, the post goes on to confirm that there is an Enhanced Edition coming to consoles (Xbox and Ps4) later in 2017, saying, "Space Hulk: Deathwing will arrive on consoles later this year as an Enhanced Edition including additional content. This content will be included in a free update for PC players." So, while the sale is exciting for the PC community, players waiting to hop in on consoles have something to look forward to now as well. Will you be joining in through this new sale, or, will you be waiting until later in 2017 to play the Enhanced Edition on your favorite console? Let us know in the comments, and, as always, stick with your friends here, at Co-Optimus.